Jet off this summer with a Sport Court and have family fun in the sun playing your favorite sport. Start creating memories at home with a round of basketball, baseball, golf, tennis, and more. Interested in indoor or outdoor courts? There are many choices from basketball courts to batting cages. Practice your own Kershaw warm up in a professional batting cage or shoot a half-court shot on a personalized basketball court. Sport Court has built over 8,000 courts, locally, and has the highest quality components in the industry.Our variety of surfacing options guarantee for high performance level on the court. No matter what age you are, stay active this summer with the entire family. With Sport Court surfaces such as PowerGame, reduced stress is enforced on your joints due to the safest platform, Lateral Forgiveness, which reduces joint strain and improves traction and ball response. Host the next family barbecue at your home, while cooking hamburgers on the grill the kids can have entertainment with an in-ground trampoline. No worries about suffering any injuries, because all parts are smoothly finished with no sharp edges. Take a break from social media by playing a one-on-one game. There are no concerns about the ball getting tossed in the neighbor's yard with a new rebounder. 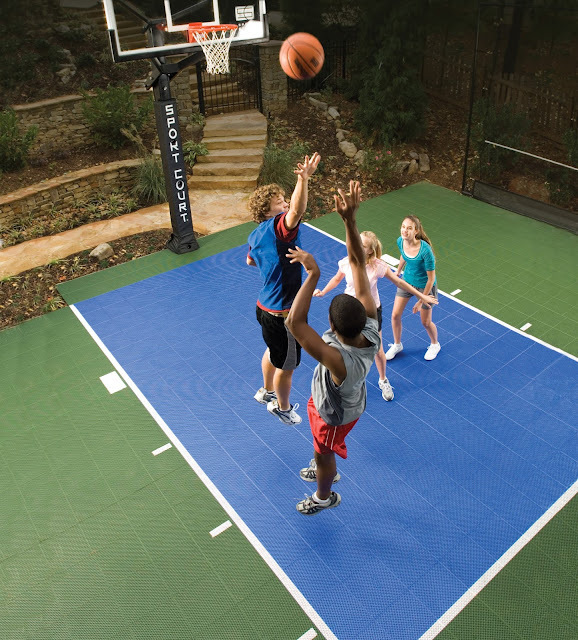 Sport Court has everything you need for a blazing hot summer. Summer has arrived, before taking a swim in the pool design your court now! Before, During, and After.. Transform Your Space! Wrapping Up a Weekend of Awesome Events! Represent Your Team with Home Court Advantage!